Any city that wishes to catapult itself to one of the top cities in the world has its tasks neatly cut out for itself that aim at making it self-sustainingand futuristic.A city where its people are in harmony with nature, what is retrieved is ploughed back. A city that enhances and enriches the quality of life of its people by devising suitable thoughtful processes that make delivery of all services as efficient and effective as possible. The city should be in perfect shape and adopt the most modern ways and means of managing its resources including the waste it generates. Having well kempt gardens and beautiful public places would still leave much to be desired to achieve the coveted tag of a smart city, unless the most pressing and recurring issues such as round-the-clock power supply, efficient green commercial buildings, well developed public transport system, waste management, minimum carbon footprint, pollution free environment, demarcationof commercial and industrial activity etc. are solved and handled in a sustainable manner, no city can even remotely hope to achieve the nomenclature of a smart city. One of the most crucial and intractable problems any big city faces is managing the waste is generates. 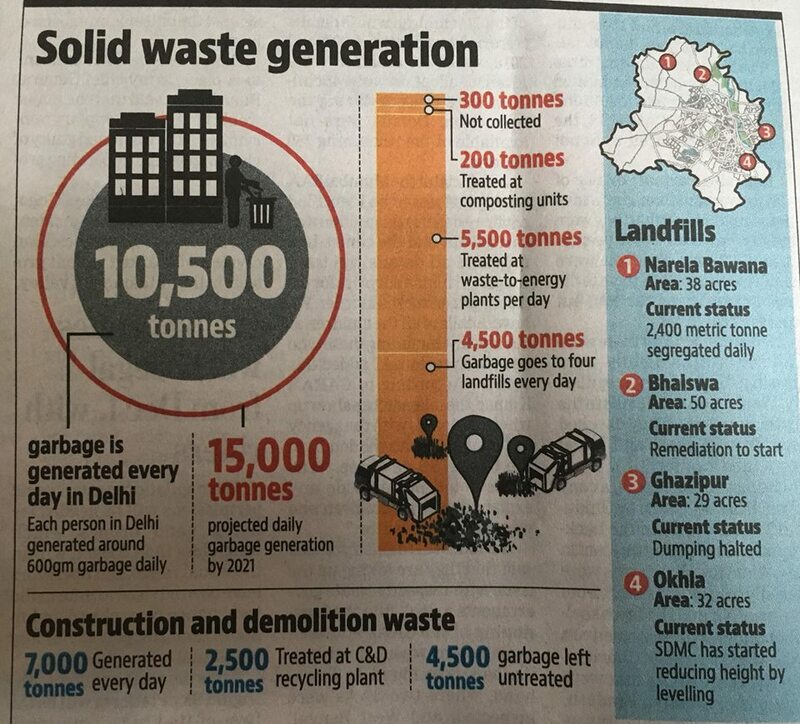 A city like Delhi that is home to about 20 million people generates 11,000 MT (metric tonnes) of municipal waste daily which is projected to reach 15,000 MT daily by 2021. That’s a humongous amount in both weight and size. Can you believe,it’s akin to a mountain every day! If Delhi can figure out what to do with this amount of solid municipal waste, it can surely do everything else for that matter. This colossal waste is what lies at the heart of the problem as well as in the way of achieving a big tag. If this problem goes unchecked or unattended, our hopes of ever attaining the tag of a super city remain dashed. Until recently all of thewaste was just being dumped at the landfills, completely unsegregated, which means even the recyclable portion of the waste was ending up where it should not have. It’s little surprise that the landfills were reeling under huge load which had, over the years, grown taller than the tallest building in Delhi’s commercial district. Surprised, but true. So, is this howthe waste will be managed in the future as well? I think there has been some awakening at this front but not before the intervention of the honourable Supreme Court of India. The supreme court appointed EPCA (Environment and Pollution Control Authority) is seized of the matter and is thinking hard on steps that need to be taken on immediate priority that will spell out the plan of the future. The authority has instructed the three municipal corporations to suggest the best way forward that will also serve as the blue print for the future. Now, with this intervention there appears to be a great hope that things will change for better after decades of neglect and dereliction so much so that some of us had actually given up hope seeing the state of affairs for so long. As I see it, only a multi-dimensional approach to the problem of managing waste can yield practical results. Since the problem is unprecedented and humongous therefore the solution should also be unprecedented and commensurate with the problem we face. When I say the solution should be multi-dimensional, I mean we should look at the problem from all angles, starting with the problem of producing a huge quantum of waste in the first place. We usually ignore or overlook the root cause of the problem which is generation of waste at sourcein our homes while concentrating our energies at other avenues. I wish to draw attention to the behavioural change that you and I need to solve one end of the problem. Aren’t we sensitive enough towards our environment that we continue to show everything the bin? If you analyse your refuse you will find it cluttered with huge amount of single-use plastic, bottles, cans, wrappers etc. What can we do to avoid the use of plastic? The fact is that we hardly care to think before we discard an item. Each discarded item represents a mountain the resources it has consumed, the minerals, the metals, agricultural products etc. and the number of industrial processes these have gone through to take on the final shape and when you throw it in the bin rather than recycle, you discard all those resources that have gone into manufacturing it. I strongly feel, beyond an iota of doubt, that the awakening has to start from inside our homes, yours and mine too. What we need to understand and realise, point blank, is that we should not only produce minimum waste but segregate it too. If we do this small favour to ourselves, I assure you, much of the problem that we face today will disappear. Why this is part of the solution is because there will be a lot less waste to deal with that can straight away go to WTE plants and leave practically nothing to go the landfills. Without thiscrucial first step being taken, the problem will appear humongous as well as remaininsurmountable, evadingany attempt to hunt for a durable solution. Once we achieve this, we are now ready to look at the next steps. Now comes the role of mechanised garbage collection using compactors to produce compressed waste cakes which can be fed to the Waste-to-energy or WTE plants for generation of electricity. The waste to energy plants come with their own set of problems. The technology of aWTE plantcould be environment friendly or unfriendly. If these use the process of incineration or burning, how-so-ever controlled, is bad of the environment as it releases toxic gases and fumes, thus raising the level of pollution. There are still superior technologies that can be used in the waste to energy plants to produce electricity and one such technology is called the ‘plasma gasification technology’ which does not produce any toxic fumes and it is totally odourless. Once the WTE plants based on environment-friendly and sustainable technology are commissioned the city will get rid of all its waste in an efficient and smarter manner, producing not just electricity but portable water too. There are three functional W-T-E plants in Delhi, out which two are located next to the landfills at Ghazipur and Narela while the third is located at Okhla. The one at Ghazipur has a capacity to consume 1200 MT of garbage daily and generate 12 MW of electricity, Narela plant consumes 2000 MT of garbage daily and produces 20 MW of electricity. 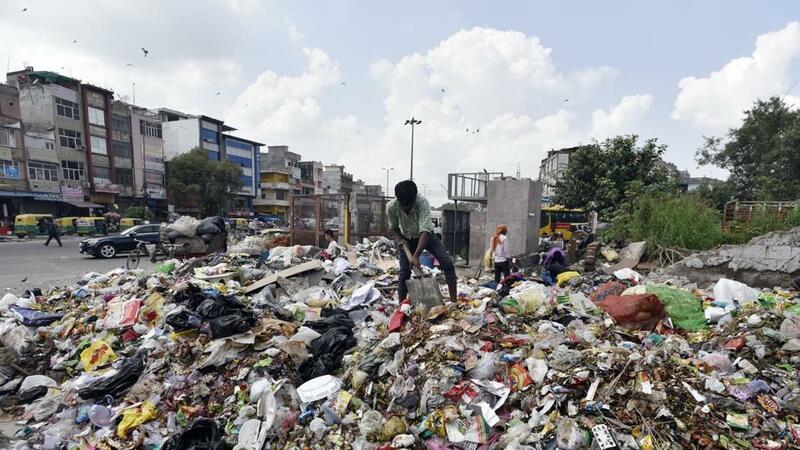 The one at Okhla consumes 1500 MT of garbage daily and produces 9 MW of electricity. The fourth WTE plant is coming up at Bhalswa landfill and will be commissioned in August 2020 after obtaining nods from various agencies including DPCC (Delhi Pollution Control Committee). However, this very landfill was shut in 2002 as it had become saturated, but still garbage continues to be dumped there. 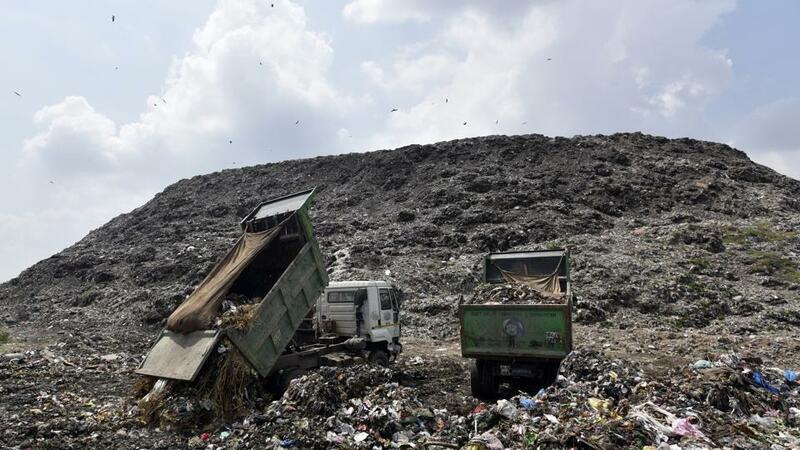 The Bhalswa landfill earlier had a composting plant which had become non-operational after the North MCD terminated the contract of the private operator in 2015 for violating norms on water and air pollution under Water and Air Prevention and Control of Pollution Act. Hence on the court order the composting plant was shut in 2015. The Ghazipur WTE will be based on Plasma Gasification Technology (presently used by US Army only) and operated by AG Dauters of Germany instead of incinerating the garbage that produces toxic gases and fumes. Once this plant is fully operational it will produce 560 MW of electricity, 4.75 lakh litres of water and 2 lakh litres of zero carbon fuel (a.k.a green fuel). The company will cover its costs and make profit as well by way of sale of these products in the local market. Additionally, the company will pay 3% of its revenue to the EDMC. To ease the pressure on the existing landfills, there are two more in the pipeline, one at Sonia vihar and the other at GondaGujran Khadar. We are given to understand that the situation will drastically improve after August 2020 when no untreated garbage will reach the landfills. At this time all the WTE plants will be fully operational and will consume maximum garbage and leave practically nothing to go to the landfills. Let us hope Delhi can do what its administrators have promised and shows the way forward to the entire country.